Gas/particle mass transfer process plays an important role in determining aerosol mass concentrations and shaping aerosol size distribution. Its treatments in three dimensional (3-D) Air Quality Models (AQMs), however, are largely uncertain. In this thesis work, the gas/particle mass transfer approaches in an aerosol module are improved and evaluated to identify an accurate yet computationally efficient approach for use in 3-D AQMs. The aerosol module with the improved gas/particle mass transfer approaches has been incorporated into a state-of-science air quality forecasting (AQF) system. 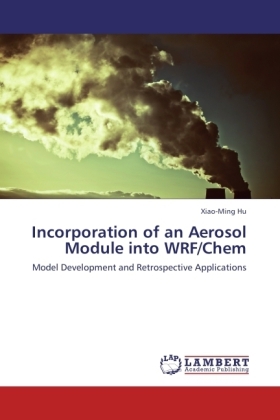 The resulted modeling system has been applied in many cases to investigate the air pollution issues in the United States. Using the improved air quality modeling system, the prediction of air quality under many circumstances is shown significantly improved. Such improvement is a substantial contribution to the development of next generation air quality numerical models.